These works draw their strength from the power of colour brought out by the quality and density of wool and silk. 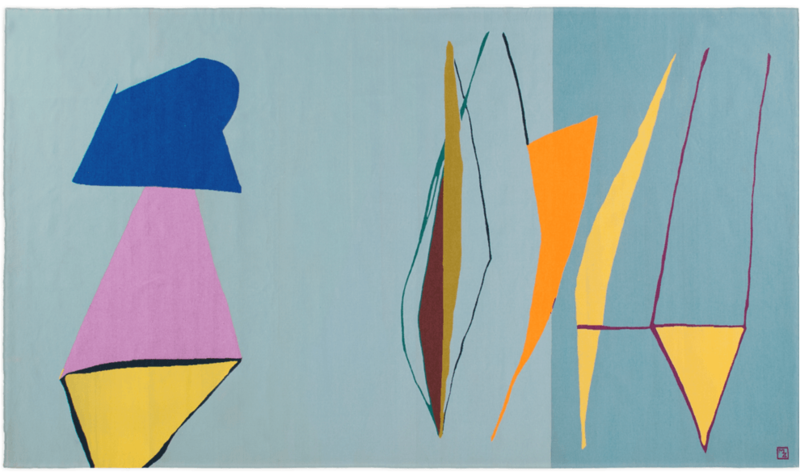 Arising from a collection of Parrot rug paintings designed in the mid 1990s these tapestries indicate a shift toward greater freedom in Marcel Zelmanovitch’s creative process. Here the design, guided as it is by planes, lines and curves of varying depth, is a framework able to breathe life into bold, clashing colours. Of course, this work cannot exist without matter. The matter, or material,alone allows the transcription of the «exuberance», the warmth and the incredible audacity of a parrot’s plumage. The choices, of hand-knotting flat weave Aubusson knots and of using silk thread to contrast with the wool, contribute to the kind of disruption in the works of which the artist is so fond. In this way by reflecting light the lines of silk bring disconnections which underline the muted power of the swathes of coloured wool. Why present a series of tapestries? 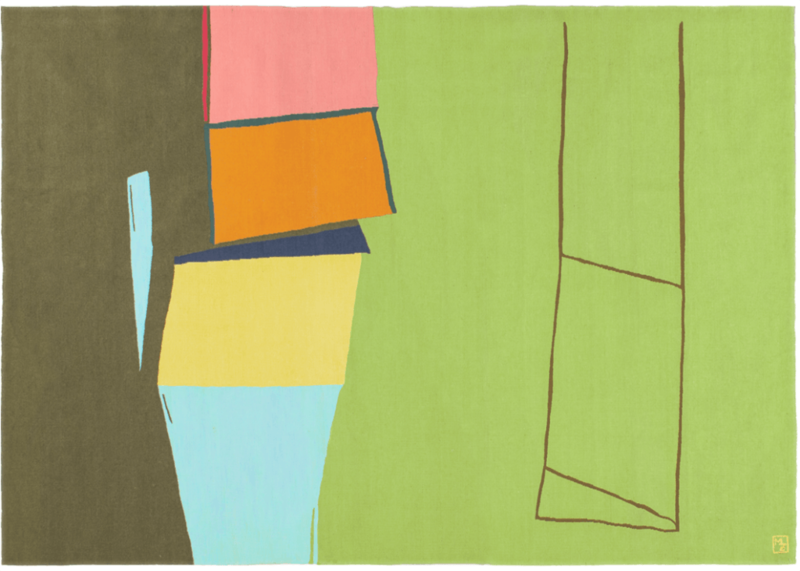 transposition from the Perroquet rugs to the tapestry form. 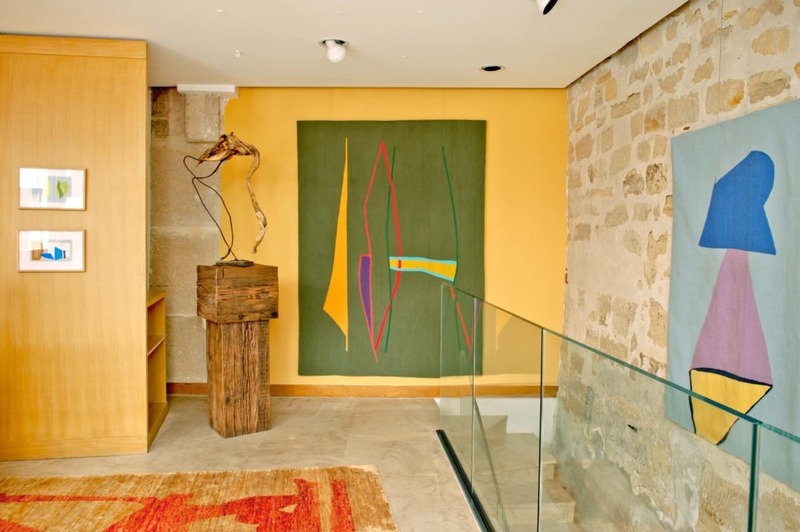 Hung on a wall, art tapestry becomes a textile creation situated somewhere between a painting and a designer object when the reflected light from its varied materials gives structure and impetus to a an interior design in a very modern way. chromatic intensity with the expression of a kind of pure freedom the likes of which can only be rendered in a textile form. This is why his non-conformism in the use of unusual nuances and in the choice of intensities is at the heart of his creative process. 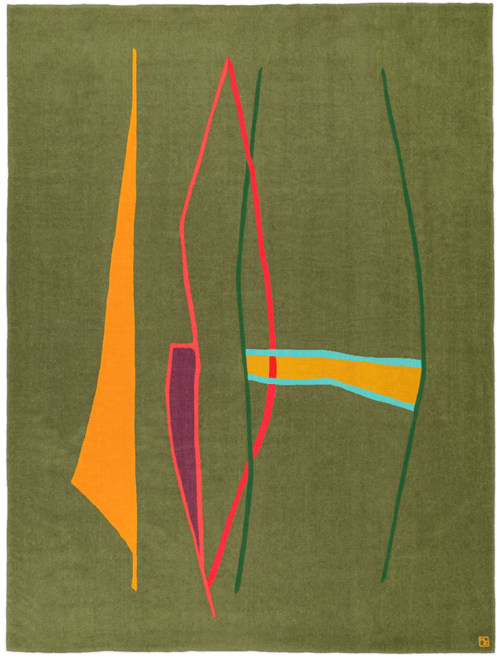 These creations pursue a body of work started with the Perroquet rugs in the 90s, but this time around the three pieces presented bring more vivid nuances and greater contrasts: acid green, very bright oranges as well as the pure yellow and red which become the very expression of a lack of restraint and delight. 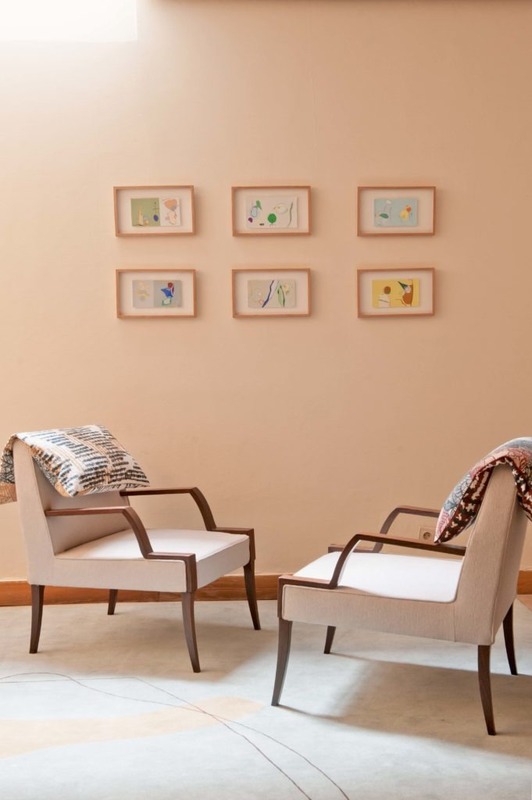 Marcel Zelmanovitch’s artistic modus operandi is the series and the collection. 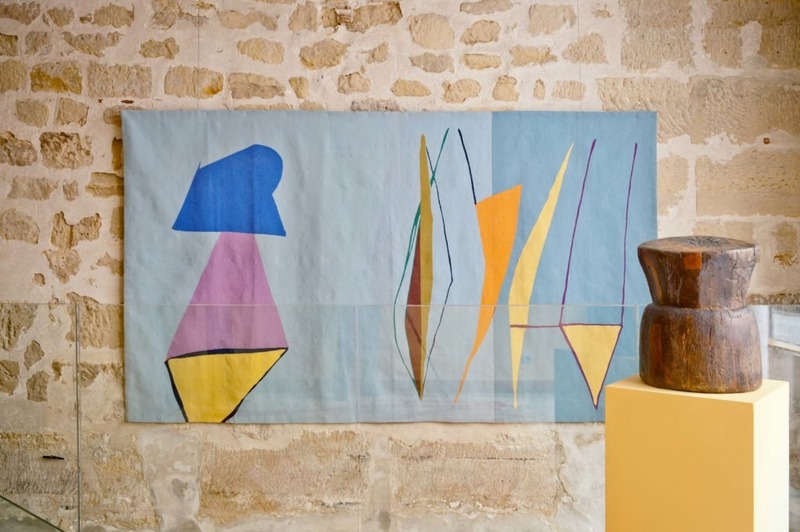 For this reason, Galerie Diurne, is presenting, in parallel to the three tapestries, a series of gouaches signed by the artist which can be woven on demand.